anyway, Rex Mundi is long time finished, as I write this I guess the last trade (vol 6) is being shipped to the comic stores. Right now I´m working coloring the last Solomon Kane miniseries from Dark Horse. 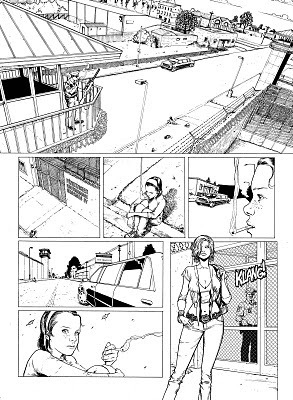 Script Scott Allie and pencils and ink by Mario Guevara. I also did a cover for The Guild (issue 3). 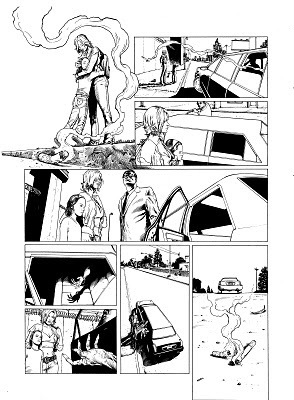 I´m working for Soleil and the project is called "3 sorcieres" with writes Nicolas Pona. I´m almost finishg the first album. More pages relates to "3sorcieres"!